Here is Joie Studio's first anatomy lesson, where I'll take you through the making of a custom letterpress baby shower invitation from start to finish. Here at Joie Studio, we meld old and new letterpress techniques to get our desired results, and this baby shower invitation, more than many other projects here at the studio, showcases the different techniques we use, making it a great project to use for our anatomy lesson. This project is actually for a very dear friend of mine, so Rebecca, the host of the baby shower, gave me a free rein to do whatever I wanted. 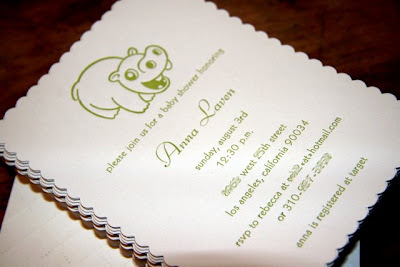 I knew that the couple were decorating the nursery with a hippo theme, and as there is a hippo in Joie Studio's upcoming baby line, I decided that it would be the perfect design. The fonts in the proof are Kabel and Liberty. Kabel is the digital version of Sans Serif Light, and Liberty is a variation of Bernhard Cursive. Both these fonts are fonts that I have handset type for. 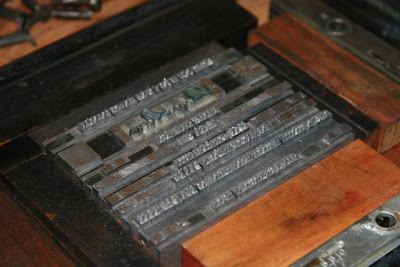 Here at Joie Studio, we use a combination of handset type and magnesium plates to letterpress our projects. To set it, you would take each letter out, one by one, and set it on a line. Time consuming, but I think that handset type gives the best result so I keep as many fonts as I can fit into my type cabinet. The case above is pretty empty, but some of the other drawers weigh as much as 50 lbs. Notice the roller bearers on both sides? 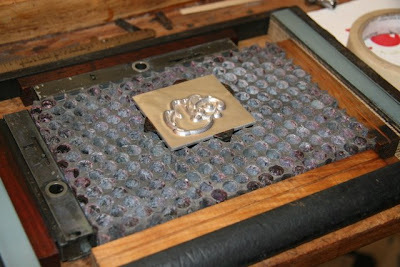 The bearers keep the rollers inking the forme properly, which is essential for gorgeous letterpress printing. I hope you love the result as much as I did, and I hope you enjoyed a peak at our letterpress process from concept to creation. The LUXE letterpress launch has taken up so much of my time that now that it's launched, I can turn my attention to debuting these gorgeous letterpress animals. Keep on the lookout for more animals in Joie Studio's upcoming baby line! I'm working on a new project right now (there are always internal projects here at Joie Studio!) 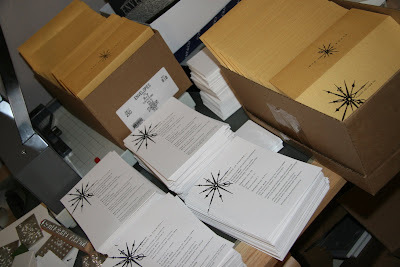 which involves getting photographs of Joie Studio letterpress and design work from actual weddings. This project is proving to be so rewarding because I absolutely love how to see how Joie Studio's work fits in with the rest of the wedding. 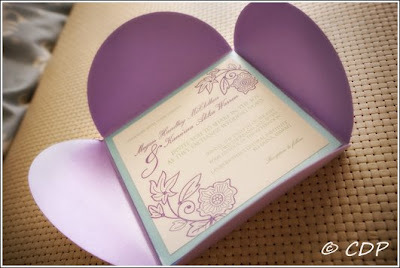 Cassandra Dieterle in Honolulu shared some amazing photos of Joie Studio's invitations that she took! Cassandra is so wonderful and professional - and the shots that she sent me were pure eye candy. How absolutely gorgeous does the invitation look in the photo? This is just a teaser because there is more gorgeousness to come when the new project launches! Thanks, Cassandra! 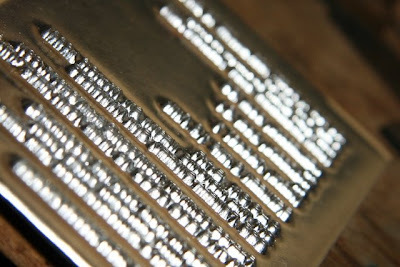 LUXE letterpress on design blogs! 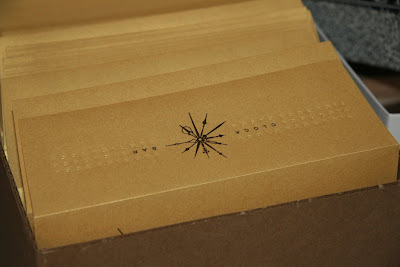 Thank you to Leigh at hapa hale, Kristen at Paper Crave, and Jan at Poppytalk for sharing the launch of LUXE letterpress! One of the favorites thus far seems to be the Seville letterpress wedding invitation design, which was inspired by all the great Mediterranean tile designs out there. 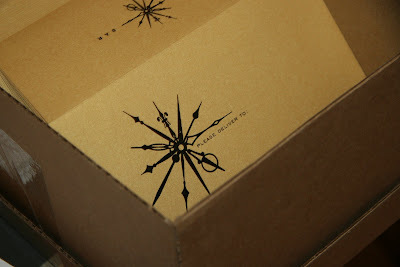 It's one of the favorite LUXE letterpress designs here at the studio as well -- my husband loves this design. 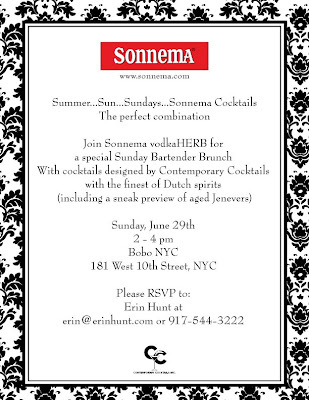 Here is another design I worked on for Sonnema vodkaHERB through the ever lovely Erin Hunt. It's another digital design that I believe was used as digital postcards and made up into actual postcards. At least, I provided the digital files for both e-cards and real cards. Anyhow, I was asked to capture the spirit of New Orleans for this one (the after party suite was in the Tennessee Williams Suite, named after my favorite playwright -- how perfect!) 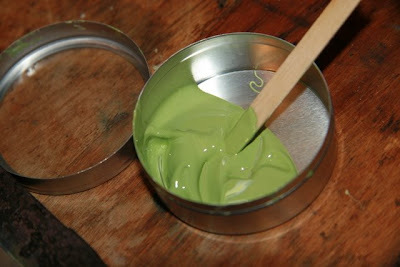 while incorporating the Sonnema red. I L-O-V-E the result. I think I'm going to go find a bottle of Sonnema vodkaHERB for our party this weekend if I can find it. I'm convinced I should grab some and try it out! Introducing LUXE letterpress by Joie Studio! This has been a long time in the making. For months now, I've had all these letterpress wedding designs that I wanted people to be able to peruse and order online. And for the last three months, I've been building this website in my spare time. Usually it doesn't take me this long, but I sort of became my own worst client. 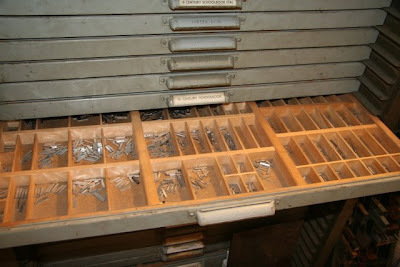 I had built out a website for the LUXE letterpress line and then I decided that I didn't like it. So then it was back to the drawing board. As a special for my blog readers, from now until August 15th, Joie Studio is offering 20% off any letterpress wedding invitation order off of the LUXE letterpress website (use coupon code "GoLUXE" at checkout). 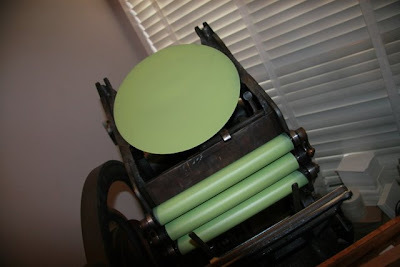 Okay, so I'm working on a series of posts right now that will follow different types of letterpress projects here in the studio from concept to creation. I'm just working on getting permission from parties involved for the posts. 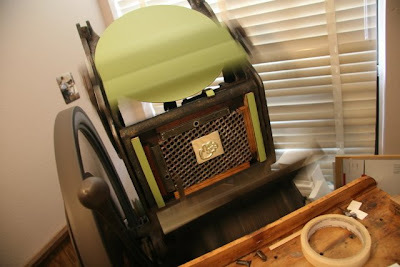 My hope is that you'll get an idea on what goes into custom work here at Joie Studio as well as learn a little bit about letterpress. They're little primers on what goes on here! 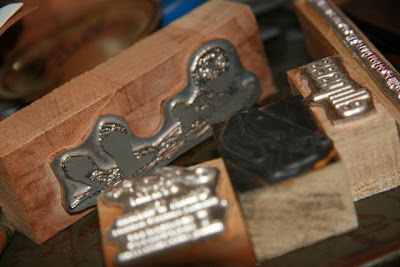 I've decided to call the first two posts "Anatomy of a Letterpress Baby Shower Invitation" and "Anatomy of a Letterpress Wedding Invitation." Watch for it soon! I'm putting it on the blog first, but I will also put it on Briarpress once I figure out exactly what type I'm going to send out along with it. My thought is some Century Schoolbook and maybe Copperplate, but I'm unsure at this point. Local pickup is preferred I won't crate the Official for shipment and it's worth too much to just put in a cardboard box and hope for the best. But if you can figure out shipping, then I'll be more than happy to accommodate. You can send your bids to me at tina[at]joiestudio.com. Ten years ago: July 1998. I was on a summer study-abroad in the Kansai region of Japan, working on my Japanese. It was my first trip out of the country! Five things on my to-do list for today? - Go to the paper company. Complain about paper received and buy ink. - Check and respond to email. - Make reservations at Patina. - Go lay by the pool. - Continue working on new business website. Yummy salty snacks and yummy sugary snacks. Not too huge of a chocolate fan anymore, but I won't refuse it! Pay off all debts, buy a nice place to live and a nice car to drive, travel the world. Maybe try to take over a small country. A nice one, though. Preferably a nice one with pretty beaches. I forgot - Debate Teacher and SAT/GRE Prep Instructor! Whoops! I'm supposed to tag more people but...well...I wouldn't want to impose! So, Joie Studio was buzzing the last couple weeks of June with finishing up our major work for the CLOCK BAR. It was lots of fun working with the Mina Group and their publicists. I designed the invitations and envelopes to feature the same design for each invitation, with different text for the four different invitations. 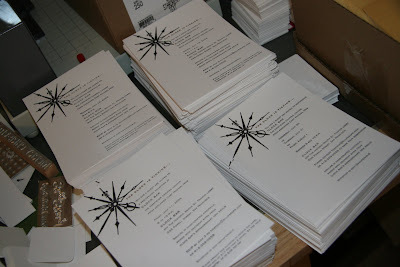 All of these invitations are custom letterpress invitations (what else? ), but as you saw in the previous post, I also designed digital save-the-date postcards for the events. I will post close up pics after the event, but I hope you like the design! The next time I'm in San Francisco, I'm definitely going to check the bar out! 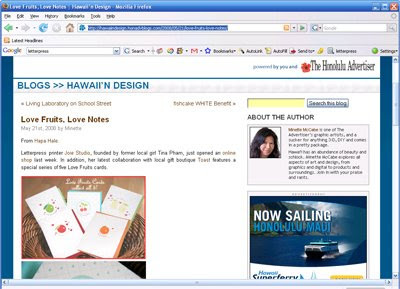 Press Mention for Joie Studio and the Love Fruits! I get so wrapped up in projects that I forget to share what press mentions I find of Joie Studio. I really get excited when I find stuff about Joie Studio online. Here's one that I got really excited about -- mostly because it's a mention in the Honolulu Advertiser (or is it on the Honolulu Advertiser? ), the newspaper I grew up reading. I especially like the mention of "former local girl." I know the Love Fruits have passed agricultural inspection and are in Hawaii, so get them while supplies last! I make invitations. It's what I do. I love designing invitations A LOT. The problem is that a lot of times I want to be invited to the events that I design for. Most of the time it's because there are these amazing menus to these events. This digital postcard invitation was for an event last Sunday in New York City and is based off of an upcoming Joie Studio invitation design. I also designed a menu to go with it (digitally printed, not by me). For the design, I was asked to capture the feel of the venue and of Sonnema VodkaHERB. Now, if you ask me, a Sunday brunch event where vodka drinks are free-flowing, well, that really sounds like my idea of a good time.